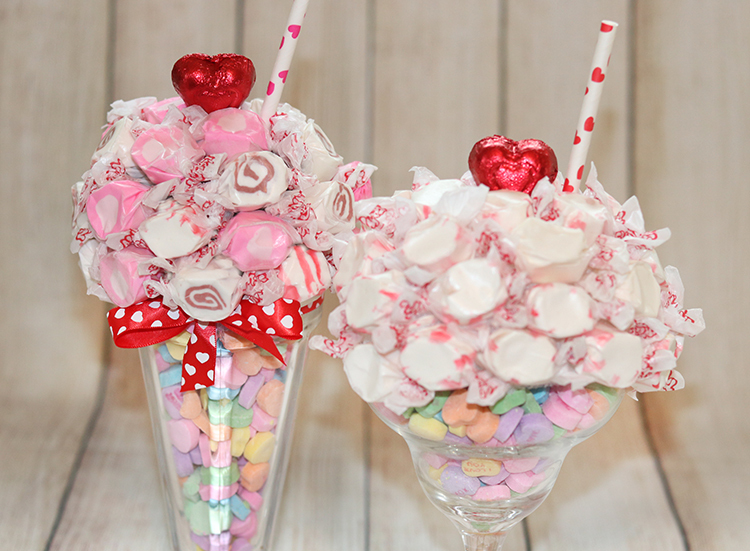 These Valentine Soda Fountain Candy Treats are super cute and fun and easy to make. It would be a fun project that the kids could help with too. 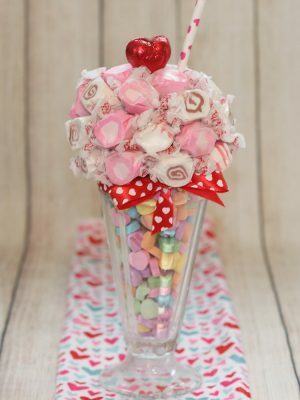 These treats are also, easy on the pocket book, I was able to get almost everything at the Dollar Store so the cost was less then $5.00 each! 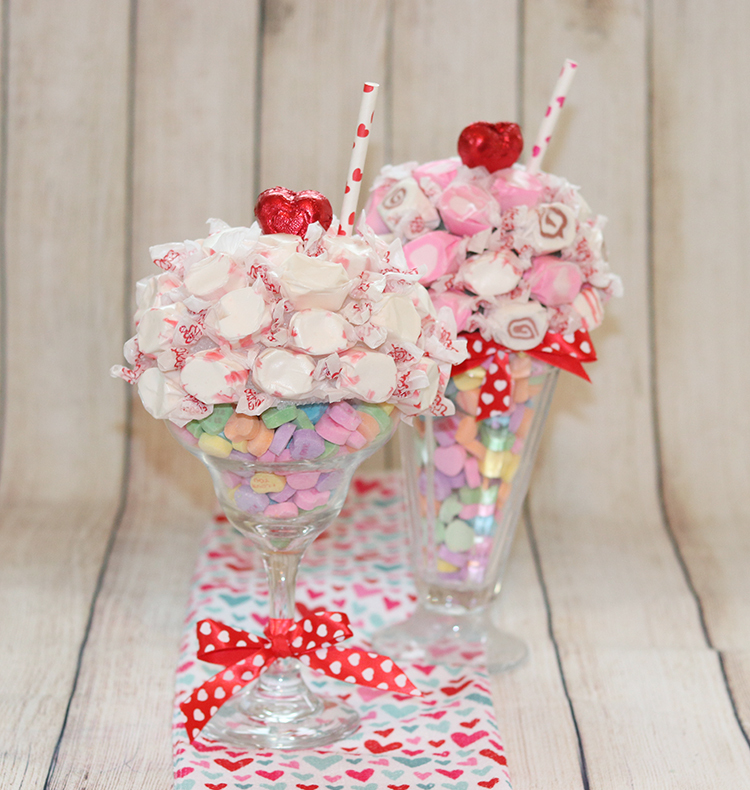 Fill glasses with heart candies. Cut your styrofoam ball in half. The size of the styrofoam ball will depend on the size of glasses you use. You want the ball to go to the edge of the cup, but not hang over. I used a 3 inch ball. Secure the foam to the top of the glass with Glue Dots. 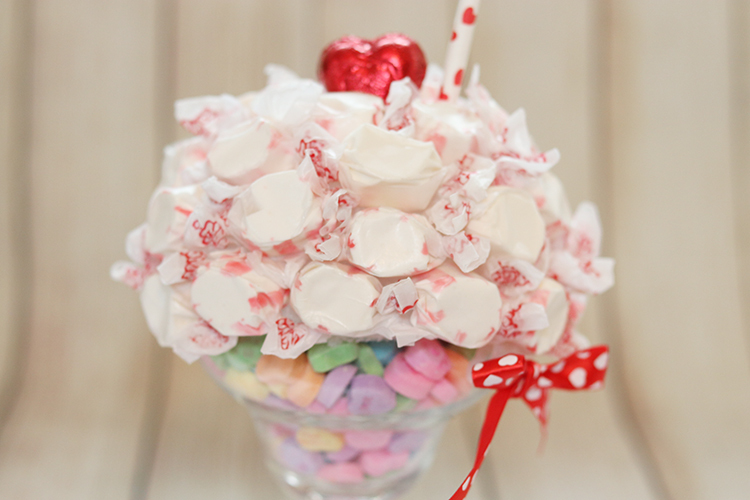 Use hot glue gun and glue taffy over the entire surface of the Styrofoam dome. 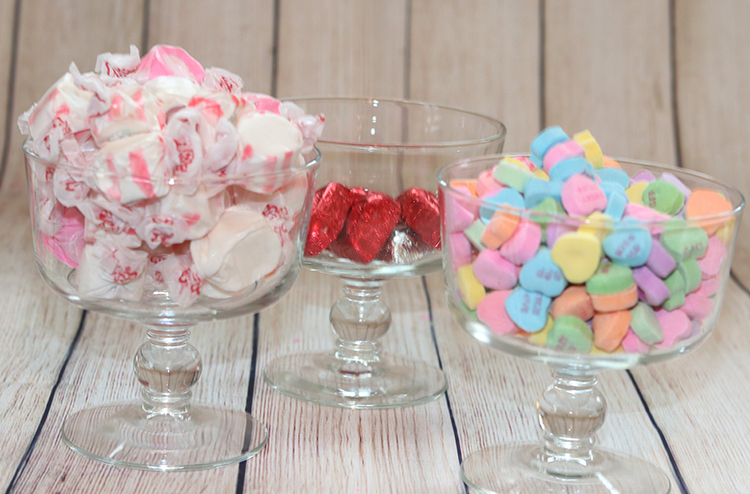 The candy will still be good to eat, the wax paper will protect the candy from the glue gun. 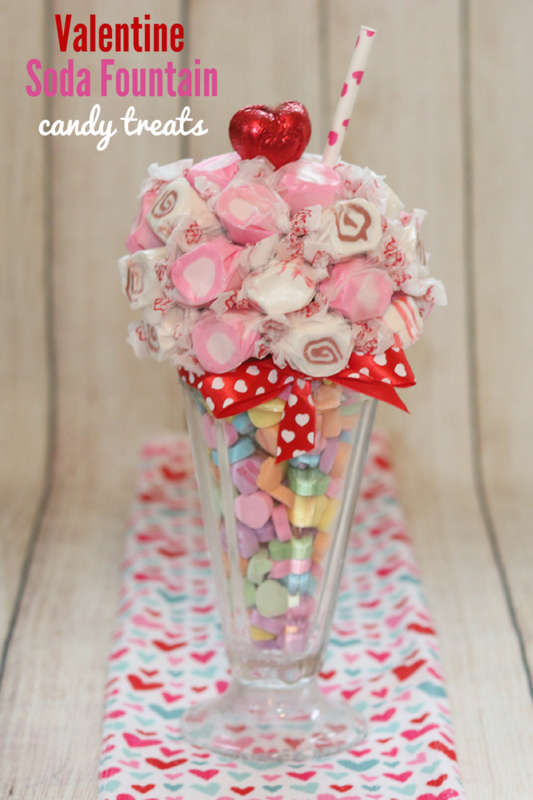 Add straw, and glue a candy heart on top. You can finish it off with a bow if you wish.